How to configure Hyperterminal so access the CLI and view the default settings on D-Link DWS-1008? Step 1: Connect a serial cable from your PC to the D-Link DWS-1008´s Console port, located on the front of the switch. Step 2: Open HyperTerminal from the Start Menu. It can be found at All Programs->Accessories->Communications->HyperTerminal. Step 3: Name the connection. The name can be anything, for example DWS-1008. Step 4: Select the Com Port on your PC that the console cable is currently connected to. Step 7: Verify that your scroll lock Light is off and then hit enter to verify you get the switch prompt. Your prompt should look like DWS-1008-9193B0>. Step 8: At the prompt type Enable and then hit enter. Step 9: You will be prompted for a password. There is no password by default so just hit enter. Step 8: Now your prompt will look like DWS-1008-9193B0#. Step 9: To view the D-Link switch´s default settings, type show switch and then hit enter at the prompt. How to login to the D-Link DWS-1008 using the Web View Interface? 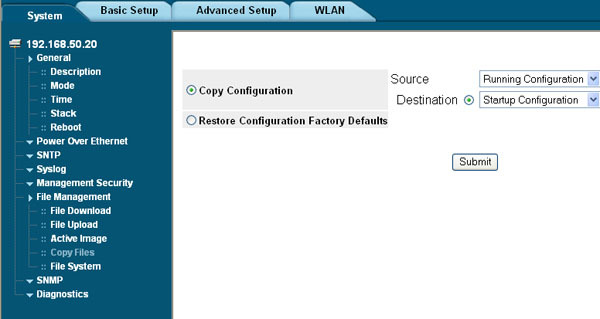 Step 1: Set a System IP Address and Default Gateway for the D-Link DWS-1008 switch. See here: How do I set a system IP and a DHCP interface on D-Link switch? Step 2: After configuring your Switches IP Address and Default Gateway you will need to open a browser and type in the IP Address you just configured on your switch. 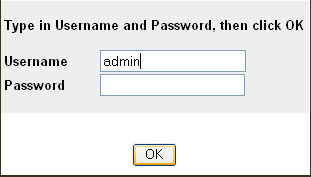 Step 3: You will then be prompted for a Username and Password. The user name is admin (lower case). The password should be left blank, unless you have already set one up. This article teaches you how to set system IP and DHCP interface on D-Link switch. Note: In the following steps, Console#, represents the command line prompt. If you have changed the name of your switch it will appear as the name, rather than console (ex DWS1008-01#). Step 2: Login to the switch. Console# set interface default ip dhcp-server disable. Press Enter. Console# set interface default ip dhcp-client enable. Press Enter. How to add an D-Link Access Point to D-Link DES Series switch? The switch needs to have an IP set for interface VLAN1. A DHCP server is required for this setup. 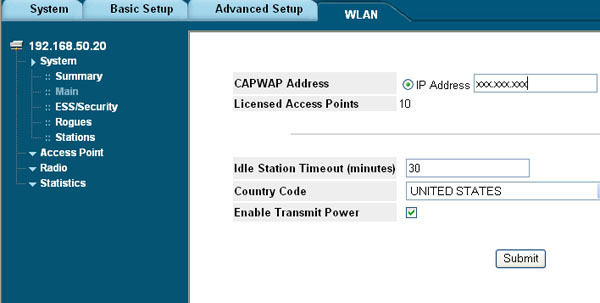 Another requirement is a CAPWAP address in WLAN menu. Step 1: Log into the switch, by entering the IP address into the address bar of the web browser. Step 2: Enter your Username and Password. Click OK to enter the Web management. Step 3: Click the WLAN tab. From the left side, under System, select Main. Step 4: Enter the CAPWAP IP address and click Submit. After adding the CAPWAP address it is required to save the settings and reload the switch. Step 5: Click on the System tab. Under File Management, select Copy files. Select the radio button next to Copy Configuration and click Submit. Step 6: When finished copying, you will see the message, Copy Finished. Select Close. Step 7: Click on the Reboot Menu and then click the Reboot button. Step 9: Once you have the wireless portion enabled and configured, you can connect your Access Point to the switch and turn on the power. Run the following command, in the CLI, and press Enter. The results will show all the discovered Access Points. In GUI mode it will show as Not Active. 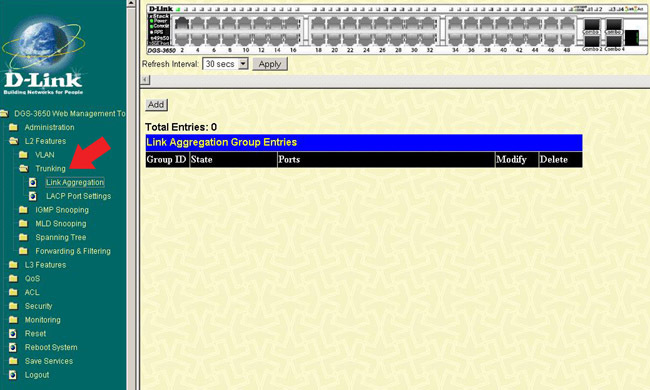 Step 10: In the WEB GUI Interface, under the WLAN tab, select Access Points from the left and choose Properties. Step 11: Click on the Edit icon and then check the Enable AP box. For the security key enter 16 alphanumeric characters (1-9 or a-z) in the ASCII box of the Key configuration and click on Submit. Close that window and click Submit again on the Properties screen. You will then see the Access Point´s status as Active. Your Access Points should now get an IP address from the DHCP server. It is now ready for basic access and further configurations. Repeat the steps above to enable additional Access Points. Note: This procedure should only be done with a Fully Updated Version of Internet Explorer. How do I add LACP trunking on my D-Link DGS-3600 series switch? Step 1: Log into the unit by entering the switch’s IP address in a web browser. 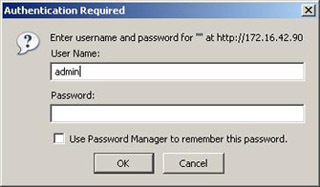 The default username is admin with no password. Step 2: Select the L2 Features->Trunking->Link Aggregation menu on the left hand side. Step 3: Click the Add button. Enter in your desired Group ID. The type should be LACP. The State should be Enabled. 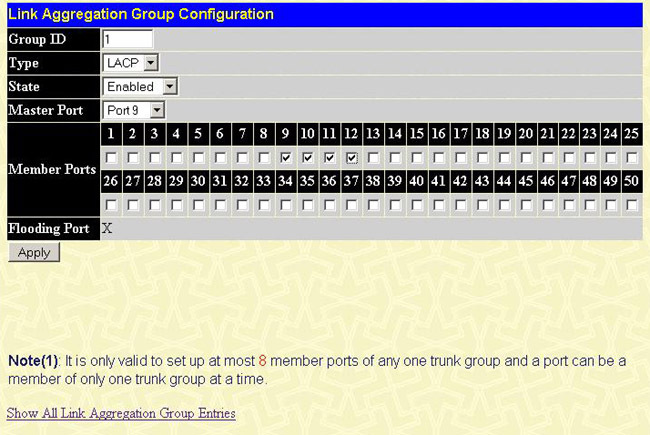 Select your Master Port and check the box for every desired member of your LACP group including the master. Hit the Save button when finished.